Download "This policy and procedure describes the requirements, selection process, and admission status types for the respiratory therapy program at NPCC." 1 This policy and procedure describes the requirements, selection process, and admission status types for the respiratory therapy program at NPCC. 1. General Statements a. Curriculum is offered on a full-time basis only. There is no provision for part-time study. Only applicants that have the status of full admission are allowed to begin the course work. Curriculum always begins in the fall semester and runs continuously for the following 22 months culminating in May graduation. Admission is only granted for the calendar year. If an applicant with the status of full admission does not enter the program they have to re-apply for the following calendar year. Admissions are competitively based. Admissions may proceed up to August until the incoming class is full. 2. Admission Requirements Application process for the Respiratory Therapy Program is selective. The deadline to apply is May 1st of the calendar year. A student who applies to the Respiratory Therapy Program must meet all of the following requirements: a. Gain college admissions. b. Be in good academic and financial standing. c. Complete the prerequisite courses prior to taking any respiratory therapy classes: i. College Algebra, Anatomy and Physiology I and II, Chemistry of Non-majors, and Microbiology. A grade of C or better is required in ALL perquisite classes. d. Complete a TB skin Test. This is necessary for the professional observation experience as well as for access to clinical sites while progressing through the curriculum. e. Complete a minimum 2 hour observation : Professional Observation Verification Form experience at a local facility and complete the Shadowing Experience form. Division of Health Sciences Administrative Secretary will arrange this shadowing experience when the completed application is on file. f. Attend all orientation meetings. g. Following acceptance, students must have a clear background check and drug screen on file. h. Following acceptance, students must have appropriate documentation for all required medical test and required immunizations. i. General education courses required for degree completion: English Composition 1 and II, Introduction to Computing I and II, Introduction to the Internet, and General Psychology. A grade of C or better is required in ALL general education classes. 3. A student who applies for the Respiratory Therapy Program must have all of the following documents on file for consideration: a. Completed Respiratory Therapy Application with all supporting documents which includes unofficial transcripts and RT Application General Education Attachment b. Completed Professional Observation: Respiratory Therapy Shadowing form c. Applicants are informed of their admission status by June Selection Process a. All forms, documents and requirements complete. b. Priority is given to applicants that have successfully completed all prerequisites the first time they enroll in the course. c. For those applicants that have priority status, they will be ranked by their cumulative GPA on the following classes: College Algebra, Anatomy and Physiology I, Anatomy and Physiology II, Chemistry, Microbiology, English Composition I, English Composition II, Computing I, Computing 2, Introduction to the Internet, and Psychology. 2 5. Admission Status a. Full Admission i. To gain full admission all forms must be fully completed and received by the Division of Health Sciences. ii. The cumulative GPA on the ranked classes needs to be a 3.0 or greater. iii. Full admission is offered starting at the highest ranked candidate and continues sequentially with the next highest ranked candidate until all available slots are filled. iv. If there are slots available after all full admission candidates have been ranked, the process continues with the Alternate candidate pool. v. Only applicants that have full admission and met the Program requirements can begin the respiratory therapy course work. b. Alternate Admission i. Applicants will be admitted with the status of Alternate if they have not completed all required prerequisite but can complete the remaining prerequisites by the fall semester or their GPA on ranked courses in less than 3.0 but greater than All other requirements must be met. Alternate admission does not guarantee Full admission status will be granted. Candidates with the Alternate Admission status will only be granted full admission if there are seats available and they meet all other admission requirements. Otherwise there status is changed to denied. c. Denied Admission i. Applicants that do not meet the requirements of Full, or Alternate status will be denied admission. ii. Once Full, or alternate status has been granted, the program reserves the right to change the status to Denied if any of the requirements are not completed or were obtained fraudulently. d. Accept/Decline STATUS Admission i. Once the applicant has been offered the status of Full or Alternate admission they can accept or decline their status. e. Withdrawn Admission i. This is an applicant initiated process. This allows the applicant to withdraw their application for the calendar year. 7 RESPIRATORY THERAPY APPLICATION WORKSHEET Name Completed by Applicant: Required General Education Courses *Anatomy & Physiology I *Anatomy & Physiology II *Chemistry for Non-majors *Microbiology *College algebra English Comp I English Com II Introduction to computing I Introduction to computing II Introduction to internet General Psychology *Pre-requisites Date Please have stamped when returned to Health Science Offices Date completed or projected semester of enrollment Admission Committee Member Review With Student: If student is not currently enrolled at NPCC? If not, have they made application and Yes No been accepted to the College? RT Application with the RT questions answered. Yes No Unofficial high school or GED attached Yes No Unofficial college transcripts attached. Official transcripts have been sent to Yes No the registrar. Understands that must complete the Respiratory Shadowing experience Yes No and have the Observation form on file for consideration for admission Completed the general education date of completion: See above Yes No Is the student currently enrolled in College? 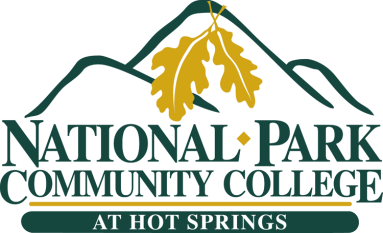 If yes, where If not an NPCC student do you understand to send two official transcripts Yes No to the Respiratory Therapy Program Director, 101 College Dr., Hot Spring, AR Student understands that admission to the program is conditional based on Yes No Criminal Background Check completion and clear drug screen. (All prescription drugs must have a prescription within the last 12 months.) Signature of person reviewing application with student Please copy form and give a copy to the student! Please remember to notify the NPCC Division of Health Science secretary of any address or phone number changes.